... Super Galaxy Knights Deluxe R - Giant Firebreathing Landsquid Attack! 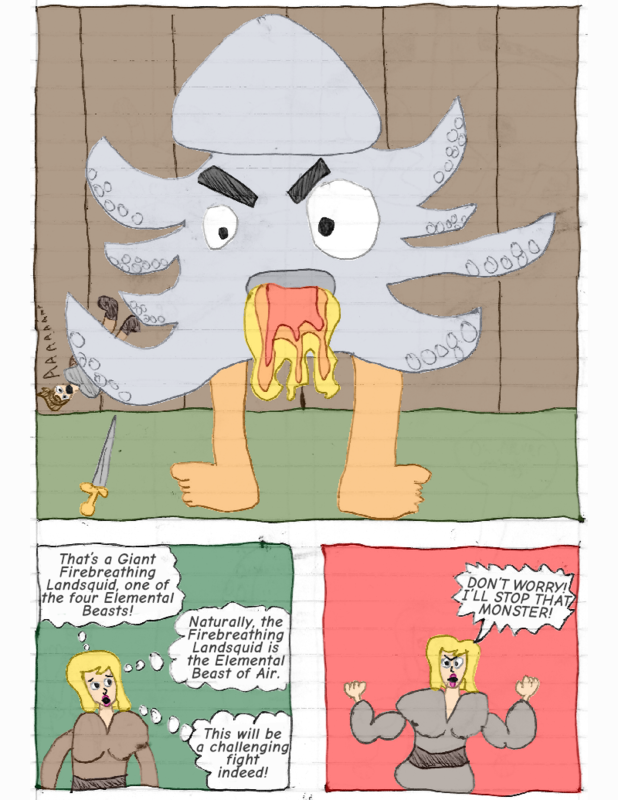 Comic 16 - Giant Firebreathing Landsquid Attack! Mizuki (thinking): That's a Giant Firebreathing Landsquid, one of the four Elemental Beasts! Naturally, the Firebreathing Landsquid is the Elemental Beast of Air. This will be a challenging fight indeed! Mizuki: DON'T WORRY! I'LL STOP THAT MONSTER!